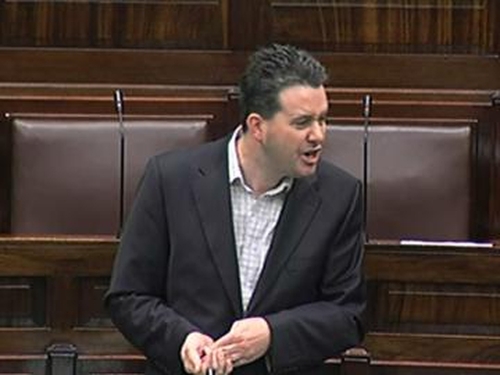 Green Party TD Paul Gogarty swore vehemently at Labour's Emmet Stagg during the Dáil debate on the social welfare cuts this afternoon. Mr Gogarty said it was not right to take from the vulnerable, because of the wrong-doing of others. 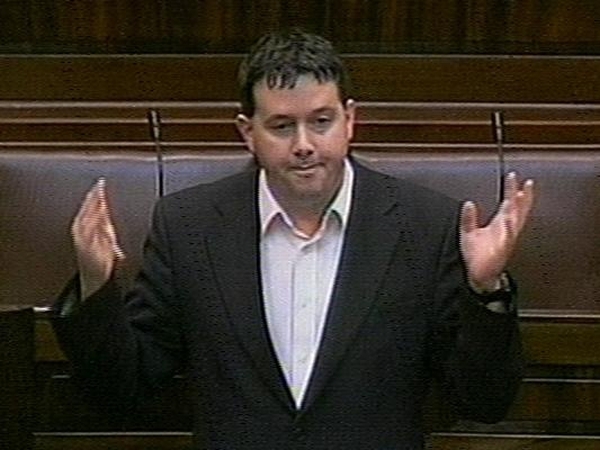 Then, after some comments from Emmet Stagg, Mr Gogarty let fly with what he said was 'unparliamentary language'. He immediately apologised for using 'the f-word' and said he wanted to withdraw the comment. Earlier, Mr Gogarty said that he would support the cuts, even though it was hard for him to hurt the vulnerable, he said he was aware his stand would appear insincere. Deputy Gogarty said he believed old-age pensioners should have had a small cut of 1% or 2% so that others might not have been hurt so badly. He agreed the rich needed to pay more tax, saying he understood a third rate of tax might be brought in next year. Ceann Comhairle Seamus Kirk said he intends to raise the issue of parliamentary standards at the next meeting of the Dáil Committee on Procedure and Privileges.